Engine oil is the main liquid used for lubricating piston and rotary internal combustion engines. The main task of oil is to defend and cooling of the engine, reducing friction, reducing the impact on different components of environmental pollution and high temperatures. Therefore, the first and important condition for the health of your car's engine is the choice of oil. But how can you protect yourself and choose a quality motor oil and not a fake? Plastic glass, white sheet of paper and a glass slide. Pay attention to the label on the canister. The label should be firmly glued throughout its plane, if the sticker peels off easily, you likely a fake. Also look for the presence of the full address of the manufacturer, phone, expiration date, and the date. Date of manufacture of the oil, deposited on the front side of the label must coincide with the date of manufacture of the canisters is stamped on the bottom. If they do not match, or absent, it is a symptom of a 100% forgery. 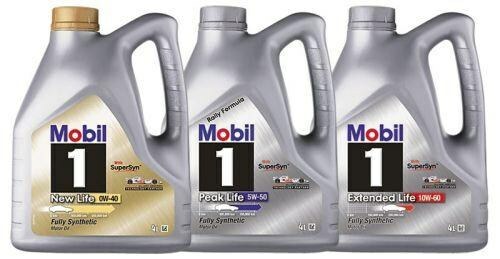 And the last time that cars were able to distinguish the genuine engine oil, manufacturers have begun to place a holographic element with the logo which is pasted on the label or upravlyaut in plastic-based containers. To the touch it has no edges and does not come unstuck. Complete a visual inspection of the engine oil. For this you will need a plastic Cup. Pour in a little oil and its viscosity and color. If the color is too dark, it indicates that the oil is of poor quality. Then in the Cup put a strong magnet and put it in a dark place for 5 minutes. If after that there is no sediment at the bottom, traces of ferromagnetic particles, then all is well – oil quality. Then take a glass slide and store it with a few drops of oil and spread immediately. If the friction between the glass heard a small squeak, it means that the oil has contaminants that are dangerous for the engine and, accordingly, the oil is defective. Take a white sheet of paper and pour it on the lid of motor oil. Sheet and hold at an angle. Oil leaking on the paper, will be partially absorbed and the remainder is evenly distributed over the surface of the sheet. If it will remain dark spots, it means that the oil has contaminants, and if light, it indicates a high level of health. Take the oil in a large shop, where the shelves is almost all variety of products produced by a certain firm or filling station where they are delivered directly from the factory.